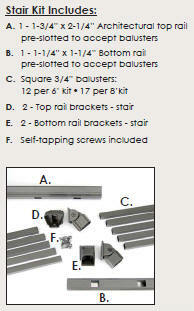 DekPro's Prestige Aluminum Railing kits include the cross rails, balusters and connectors making it easy to order. The optional Installation Jig makes it easy to install. 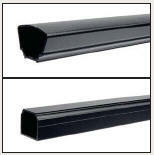 Order the Top and Bottom Rails Only and convert to Glass Balusters or Cable Railings. There are 4 powder coated, textured finishes to choose from. 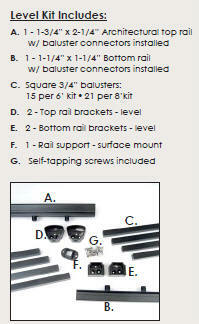 All Prestige Railing products are in stock and ship within 3 days.